A CNA performs direct patient care tasks, including helping sick and elderly patients to eat, bathe, and use the restroom. CNAs must complete a brief certificate program offered at over 25 schools in Georgia, including Augusta Technical College. An LPN assumes more independent healthcare responsibility and thus requires lengthier education. LPNs must complete a 12- to 18-month certificate program and pass the NCLEX-PN national licensure examination. An RN is the most senior of the three nursing roles. Registered nurses independently direct many aspects of patient care, and they often manage LPNs and CNAs. RNs must complete one of three prelicensure programs: a two-year associate's degree, four-year bachelor's degree, or direct-entry master's degree. They must also pass the NCLEX-RN national licensure examination. RNs study the longest of all nurses, and they are also the highest-paid. The annual median salary of Augusta’s RNs is $64,680, compared to annual pay of $37,240 for the city’s LPNs and $21,870 for local CNAs. Augusta’s growing healthcare industry has a number of active nursing employers. University Health Care System, East Central Regional Hospital, and the Department of Veterans Affairs are three of the city’s most prominent healthcare providers. 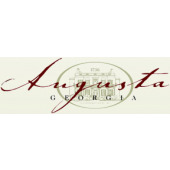 Read below to learn more about the nursing education options in Augusta, Georgia. We’ve profiled each of the city’s accredited nursing schools and programs.